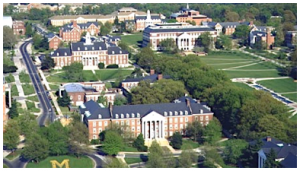 Editor’s note: In light of College Park’s recent murder-suicide tragedy, the gun control debate has come to the University of Maryland. UMD President Wallace Loh penned a column in the Diamondback calling for passage of Governor Martin O’Malley’s recent gun control proposals. In response, the National Rifle Association has reached out to the Thirsty Turtle Times, which has never denied any English-written column in its proud history (or any language, for that matter). Hello, and thank you for taking the time to read the official NRA response to University of Maryland President Wallace Loh’s propagandic column in last Wednesday’s Diamondback. 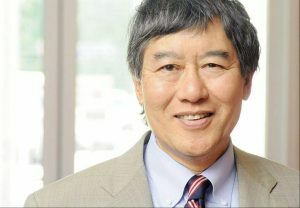 Dr. Loh should be ashamed of himself for his column, in which he voiced support for Governor O’Malley’s gun-control proposals. In fact he should probably resign and self-deport. The President of a leading public research institution has no right having opinions regarding the safety and health of his community. What happened last week was a terrible tragedy: perhaps suffering from some kind of mental illness, a deranged person, using the mightiest weapon he possessed, tore apart our glorious Constitution. This person also happens to be President of the University of Maryland. Shame on the Diamondback for permitting such offensive bile, and Dr. Loh, shame on you for writing it! And this all comes after an earlier tragedy of a murder-suicide the week before. As if a community torn asunder by violence needs the further strife of you proposing solutions to prevent such a reoccurrence – so soon. But Dr. Loh, the madness stops here. All of this clamoring to oppress our second amendment rights must stop. The new assaults on our freedom proposed by Governor Martin O’Malley, which you support, are laughable. Examining the recent tragedy in College Park, some say the fact this killer was diagnosed with a mental illness means he should have been subjected to a background check, and subsequently should not have legally been allowed to purchase a gun. But, Dr. Loh, answer this: why should our constitutional rights suffer for society’s inadequacies? Regarding shooter Dayvon Maurice Green, where were the mental health services? We, the pro-gun lobby/only objective observers say Maryland’s mental health facilities are to blame. This man had a mental illness, and no one bothered to cure it. It’s almost as if your school’s mental health program isn’t already run by the top students in the country. No, Dr. Loh, guns are not the problem! They are the solution. Violence is a terrible problem in College Park. Just last week, students responded to a sporting victory with a terrible riot. 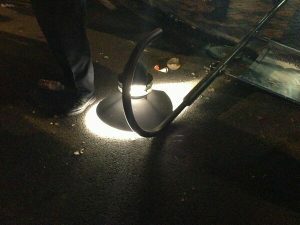 An entire light pole was downed. Imagine how much safer that riot could have been if every single student was legally armed that night. All of this damage could have been averted if every student was legally armed during last week’s post Duke-upset riots. Seniors and juniors at the University of Maryland may well remember the incident that led to the closing of this publication’s namesake, the Thirsty Turtle bar, in November 2010. Three men were stabbed by a fourth, after the continuation of an altercation that had begun in the bar. Wallace Loh, just a few days into your term, violence plagued your city. Perhaps your war on guns wasn’t such a good idea. Now, if those three victims had guns, they wouldn’t have been stabbed, plain and simple. And perhaps, if the perpetrator had been armed, the three victims wouldn’t have originally attempted to gang up on him in the first place. Don’t worry if that doesn’t make sense. It’s a mess, plainly one only guns could have cleaned up, but Dr. Loh, you just seem to have it out for our rights! Why, Dr. Loh, are firearms singled out when knives are clearly a more common weapon? In the wake of this incident, why weren’t people talking about banning knives? And don’t say it’s because nobody died – that argument has been done to death. Violence is bad no matter what and the only way to stop it is with more guns. A much more realistic solution to the violence in College Park nightlife is to arm the bouncers. R.J. Bentley’s bouncer Marcus Plummer wouldn’t have had to assault an air force veteran and ruin his own career if he was armed from the start. Surely, the impossibly drunk victim would have cowered and walked away after being ejected from the bar by an armed Plummer. Wallace Loh, with a doctorate in psychology, the expert on alcohol consumption, even you could acknowledge this. Armed bouncers, however, are not enough. The campus must be secured. Arm Hyattsville, save College Park! We need armed guards outside every building in College Park. And to those nay-sayers who say we don’t have the manpower, what about Maryland’s 6.6% unemployment rate? There are loads of people doing absolutely nothing in Hyattsville. Let’s give them guns and station them throughout College Park on Saturday nights. That’ll keep us safe. But in the end, nothing is perfect. Demons will always slip through the cracks, and tragedy will return to College Park. Now and then, innocents will die; it’s the cost of freedom. As Thomas Jefferson once said, “The Tree of Liberty must be refreshed from time to time with the blood of patriots and tyrants.” It doesn’t matter if he was referring to something completely different. It suits our argument to use his quote out of context; just like it suits gun owners to use their assault rifles out of context when they use them to go hunting. Checkmate. The point is, Dr. Loh, do not let the occasional misfortune drag you into irrational behavior. Death is tragic, but there is greater tragedy: Spending a half-hour studying the Second Amendment and the proposed laws to realize our rights aren’t actually being infringed. AUX ARMES! Follow us on Twitter @thirstytimes, find us on Facebook.